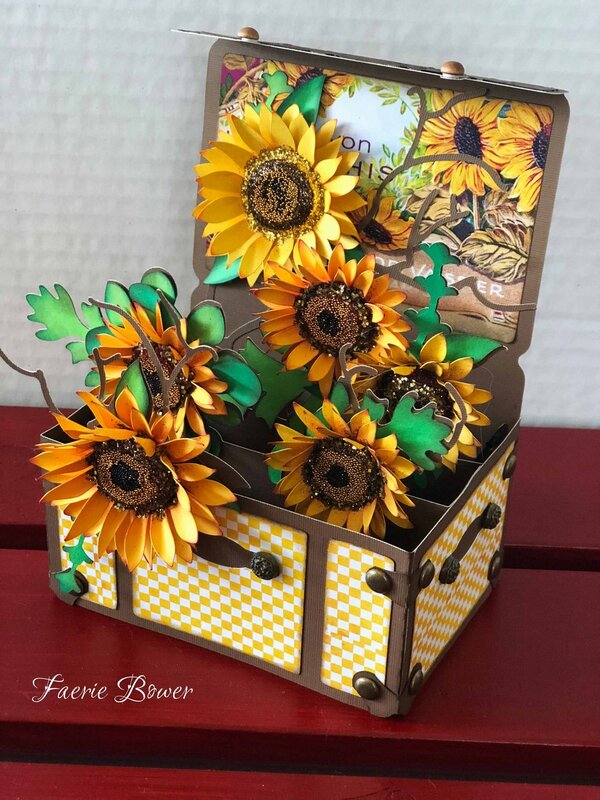 August has always been a sunflower theme for me so I'm looking forward to posting some projects starting with a box card I created earlier this year. For this card I used two different kits from Mary at SVGCuts.com. 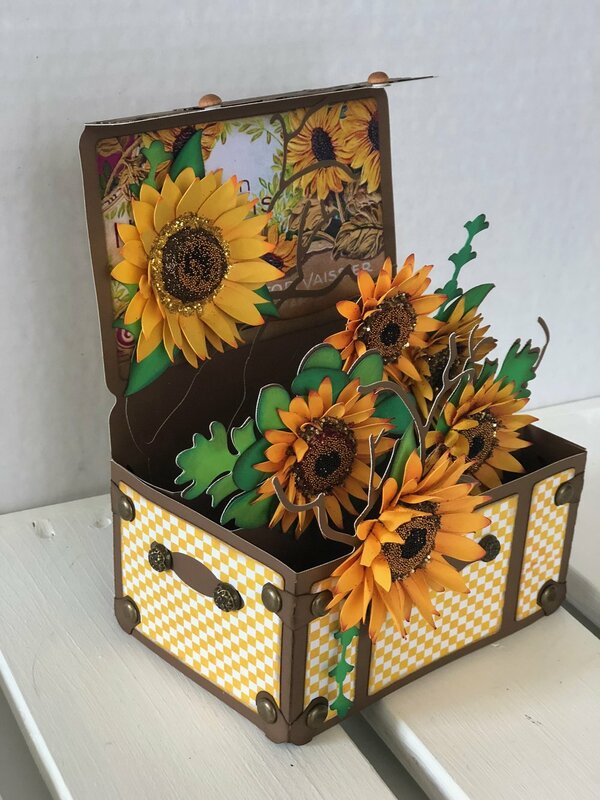 The box card itself is from Mary's Wildflower Saloon Kit and uses the Trunk of Wildflowers Box Card. I used everything except for the flowers with no adjustments to this pattern. 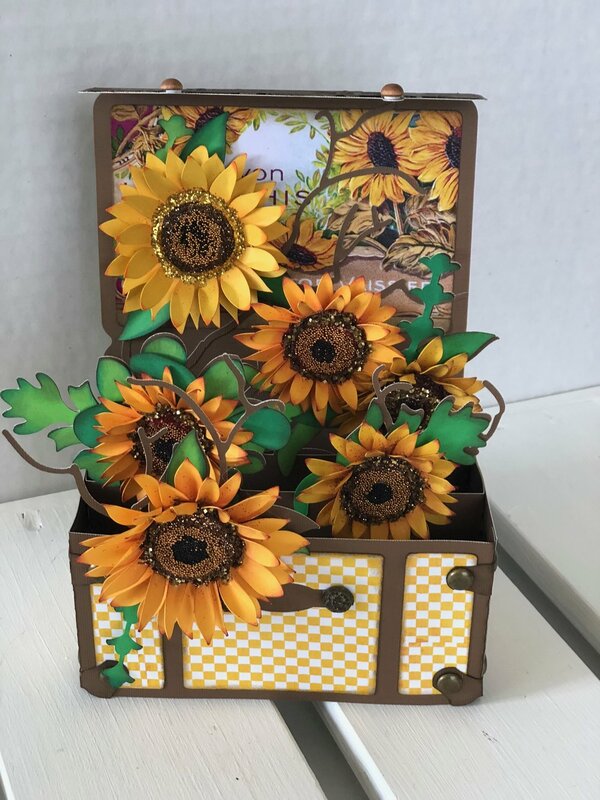 The sunflowers are from the Harvest Sunset kit. I shrank these down to approximately 30-40% of the original size. It does take a bit longer to cut all these tiny sunflowers but it created such a cool effect! Before assembling the sunflowers I inked up the edges with red ink from ColorBox and Walnut Stain Distress Ink from Tim Holtz. Then for the centers, I used a variety of glitter following Mary's instructions on her video tutorial. 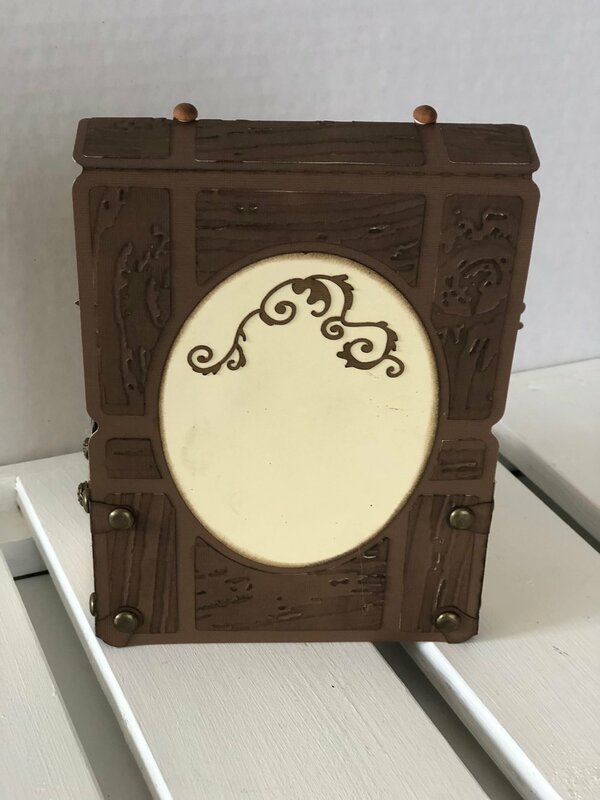 For the back of the card, I started by embossing the panels with Tim Holtz woodgrain embossing folder. Then just to give it an extra touch, I used SVGCuts French Quarter Ironwork pattern. This is one of many variations I have used this card pattern for and while this one took a bit longer, I was so happy with the end result that I will be making a few more.